Mouse anti Maltose Binding Protein antibody, clone R29 recognizes maltose binding protein (MBP).  The antibody is useful in recognising proteins expressed with an MBP tag. Mouse anti Maltose Binding Protein antibody, clone R29 is reported as being suitable for western blotting (Ahn et al. 2004). Ahn, J. et al. (2004) Systematic identification of hepatocellular proteins interacting with NS5A of the hepatitis C virus. J Biochem Mol Biol. 37: 741-8.